In my mind I blog often, but really I don't, I take photos and even will edit them, but actually writing the post I just never get to. So I figured since it has been over two weeks since the last time you heard from me, I would update you on what I have been up to. So, on June 25th I had planned on making an outfit post for Michael Jackson, I never really get to wear this shirt and if any day, June 25th is the day to wear it. 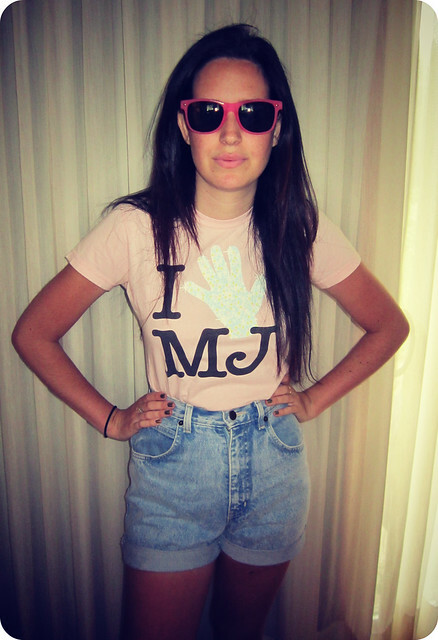 In honour of the "king" of pop, I sported my 80s shorts, with my I "glove" MJ t-shirt. While I had a mini marathon of his music. So I figured I would show you guys. 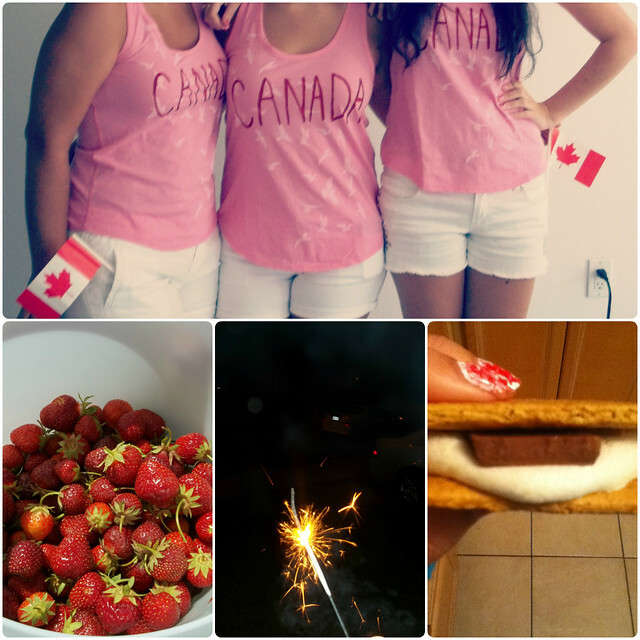 Then, me and my family celebrated Canada Day on the 1st and me and my cousins matched, and we ate smores, picked strawberries and had fireworks! Next I did some DIY and baking which I suppose you might like to see. That may look vile, but believe me it is delicious. 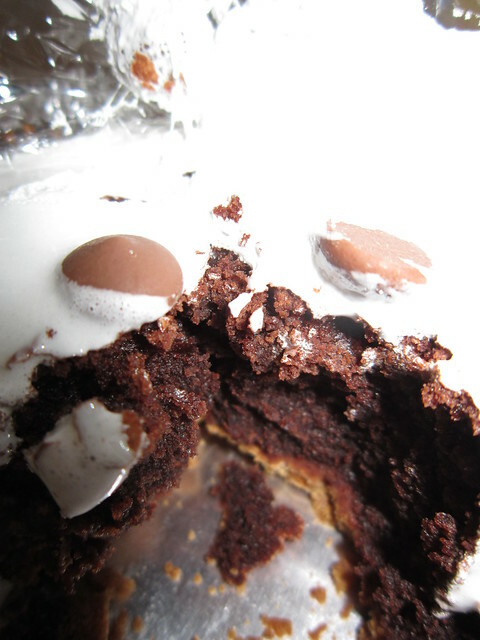 It is a smores brownie, what you do is buy or if youre feeling ambitious make a graham cracker crust in a pie tin, get brownie mix and bake it in, then when that cools you get Fluff or Kraft Jet-Puffed and smear that on top and sprinkle that with chocolate chips. It is so disgustingly delicious, and so sweet you honestly can only handle small portions but I dare you all to try it. 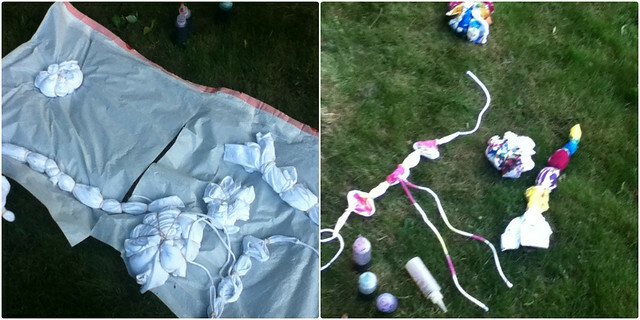 Then because I feel like it is just a summer thing to do, I did some tie-dye. We used the Tulip kit and it was worth every penny, they save so much time and give you so much precision with the bottles. And also some may be skeptical about trying a bathing suit, and although the colours aren't as vibrant as with the natural fabric, it stayed after I went swimming in a pool, so I would call it a success! So that is a little bit of what I have been up to, I will try to post more but you can always follow me on Twitter or Instagram by the username: AlsLoves. I'm debating on whether I should put myself on a schedule, what do you guys think, and what have you all been up to this summer?